You are at:Home»iPhone»Power»How To Charge An iPhone Wirelessly & The Best Wireless Charger! You just picked up a new iPhone and you want to know if it charges wirelessly. Apple announced that the iPhone 8, 8 Plus, and X would have wireless charging functionality at their Keynote Event in September of 2017. 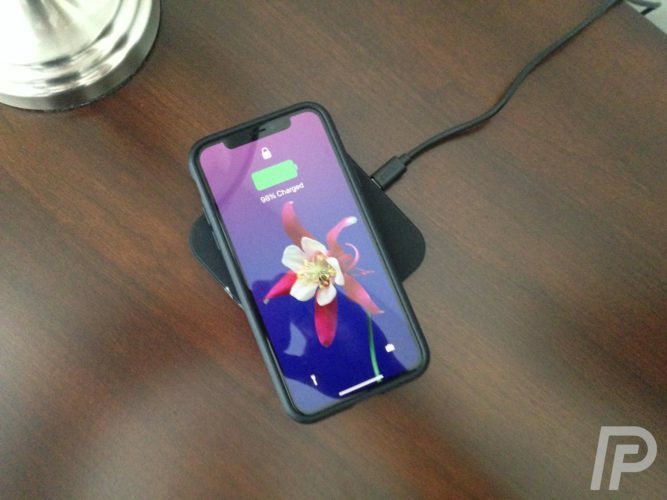 In this article, I’ll show you how to charge an iPhone wirelessly and recommend the best wireless charger for your iPhone! 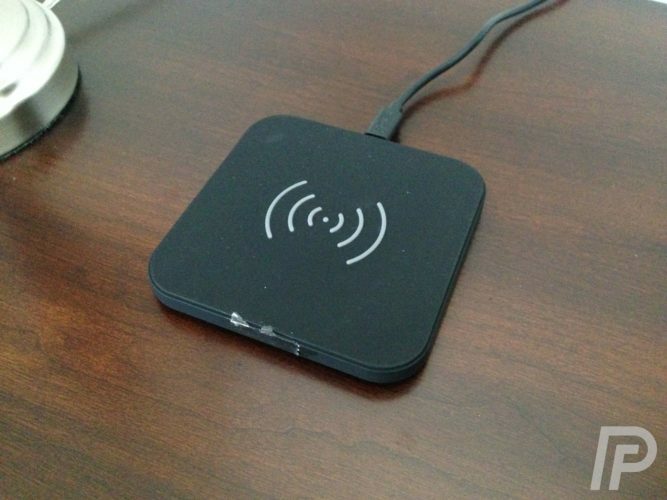 Can I Charge My iPhone Wirelessly? You can charge your iPhone wirelessly if you have a Qi-enabled charging pad and an iPhone 8, iPhone 8 Plus, or an iPhone X. Qi is the standard for wireless charging of iPhones and other electronic devices. First, plug in your wireless charger to a power outlet if necessary. Some wireless chargers have to be plugged in before you can charge your iPhone on them. Next, put your charger on a flat surface and place your iPhone 8, 8 Plus, or X directly on the center of your wireless charging pad. Make sure your iPhone’s display is facing up! You’ll know your iPhone is charging wirelessly when you see the large, green battery icon and percentage charged near the top of your iPhone’s display. If your Ring / Silent switch is set to Ring (pushed towards the front of your iPhone), you’ll also hear a quick noise indicating that your iPhone is charging. 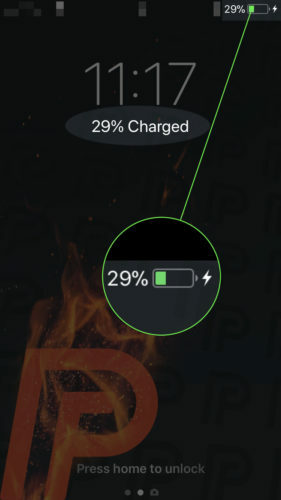 This large, green battery icon only appears on the display momentarily, but you can make sure your iPhone is charging by looking for the small charging icon in the upper right-hand corner of the screen. When your iPhone is charging, the battery icon will also be green and your iPhone will show its percentage charged below the digital clock. Wireless Charging Not Working At All? 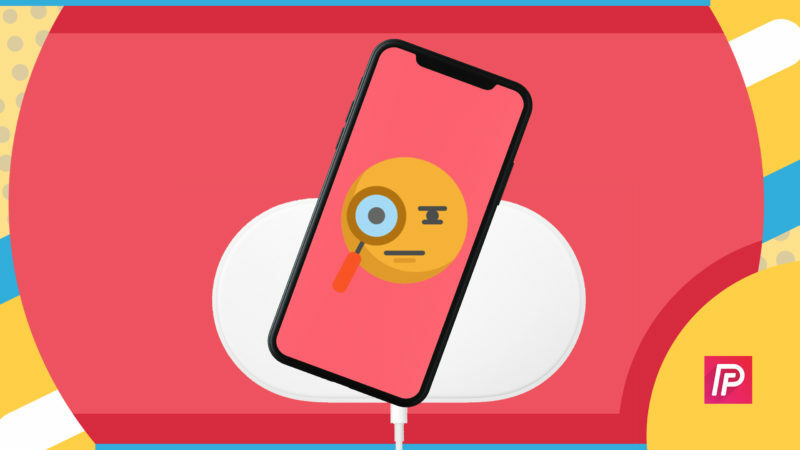 If you’ve followed the steps above, but your wireless charging isn’t working, check out our article on what to do when your iPhone is not charging wirelessly. A lot of the time, a bulky case or not placing your iPhone directly in the center of your charging pad could be the problem! Now that you know how to charge your iPhone wirelessly, we want to recommend a great Qi-enabled wireless charger that you can purchase in the Payette Forward Amazon Storefront. Your iPhone 8, 8 Plus, or X is charging wirelessly! Now that you know how to charge an iPhone wirelessly, we hope you’ll share this article and tell your friends about it too. If you have any other questions about wireless charging or the products we’ve recommended, feel free to leave a comment below. Previous ArticleDisconnecting Bluetooth Accessories Until Tomorrow On iPhone? The Fix! Next Article iPhone Headphone Jack Not Working? Here’s The Fix!